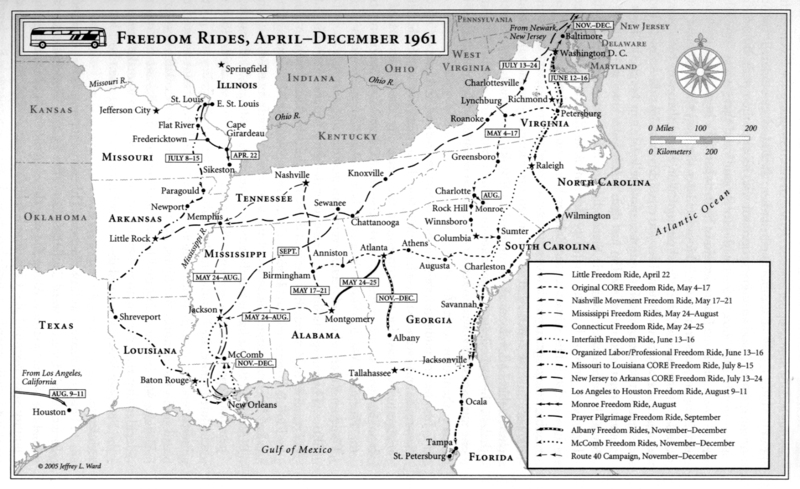 Click for a high-resolution map from The Civil Rights Movement Veterans Homepage. 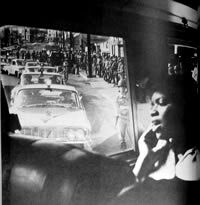 As a 21-year old white woman, I’d traveled through the South on my way from San Francisco to New York City just two months’ earlier. I’d first encountered Southern-style segregation when I walked into the Houston train station and sat down, waiting for the next train going east. I noticed that all the whites were sitting on the other side of the station. I wondered how people seemed to self-segregate, and after a few minutes discovered that over separate doors it said “Colored Passengers” and “White Passengers.” It was a recently built station, with the newspaper/candy stand in the middle. Unlike the Atlanta station I encountered a few days later, the separation of races was not a wall or half-wall but imposed by signs and the concession stand in the middle of the terminal. Blacks would buy from one side, whites from the other. 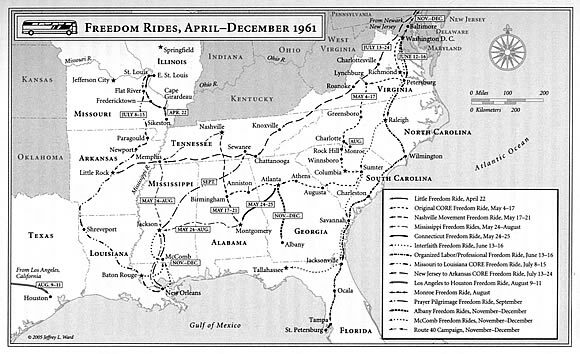 Coming right after the heels of the sit-ins, the Freedom Rides involved 436 people in 60 separate attempts to ride on buses, trains and planes, directly challenging Jim Crow. I came to know several of the riders, and as an editor at the Catholic Worker, edited one rider’s prison letters for the paper. Certainly for my generation, the sit-iners and riders were our heroes. We also knew that the police and government officials at every level were eventually forced to enforce the law because of the actions of ordinary people, who commanded public support through their determination. 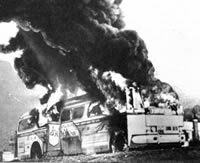 You might be interested in reading Freedom Riders, Raymond Arsenault’s gripping account, which I reviewed for Against the Current. The book has recently been made into a movie and will be shown on PBS’s American Experience on May 16. Be sure to look for it!